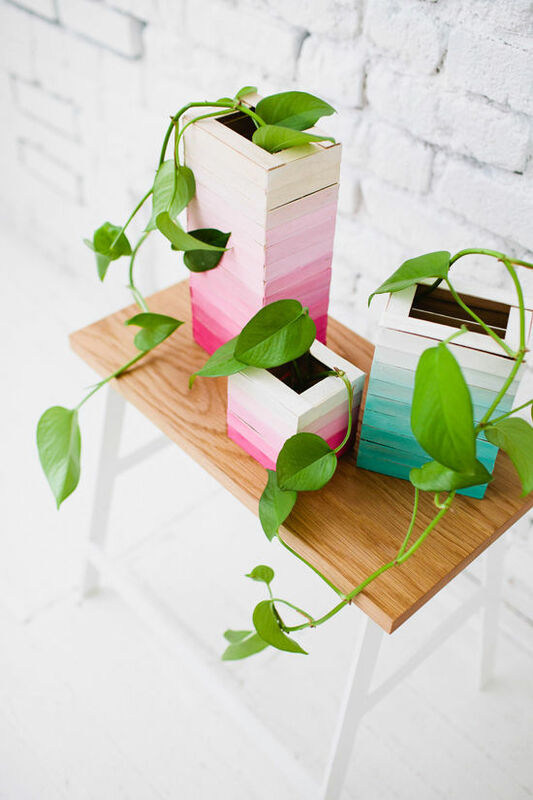 make some of these pretty wooden vases for your plants or flowers. i love the look of these! 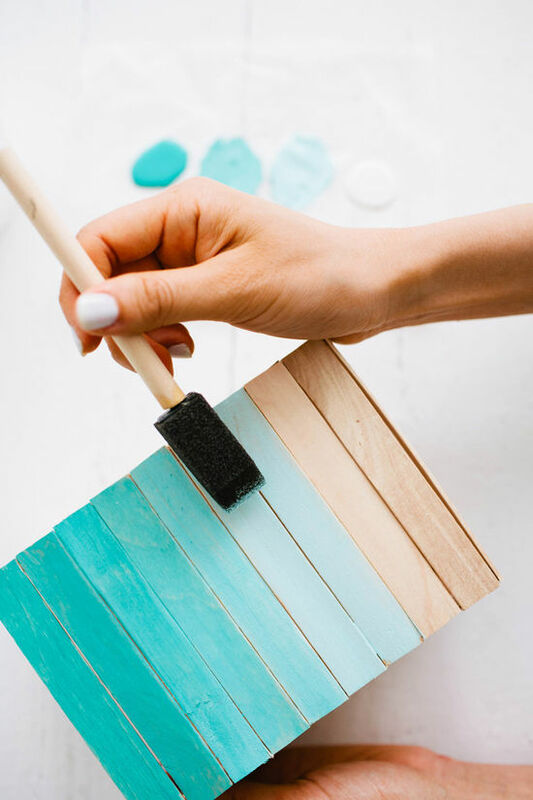 • If you’re using the jigsaw to cut the sticks, you can bundle them in stacks of 9 or 10, mark the length with blue tape, and cut through the whole stack at once. 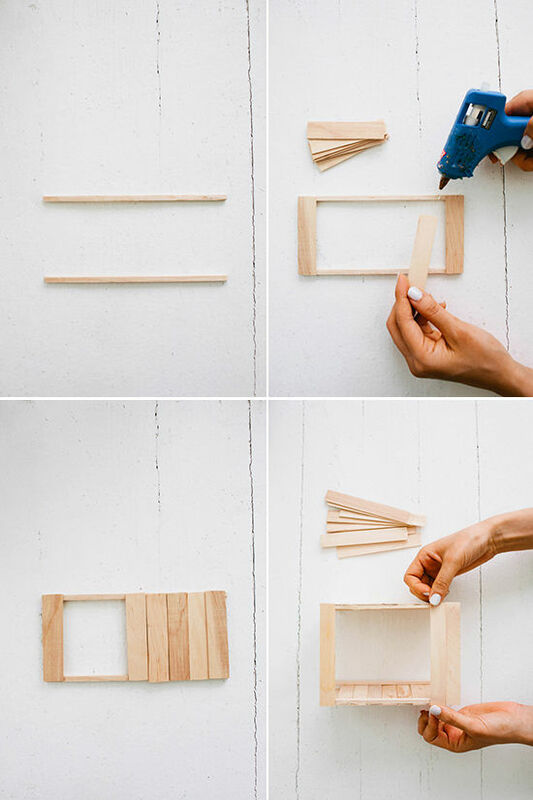 If you’re using scissors, measure, mark and cut each stick individually. • Line up two of the 6 ½” wood dowels so that they are about 2 ¾” apart and attach nine of the 3” sticks. Glue the top and bottom sticks first to keep dowels aligned. • Repeat with second pair of dowels and group of nine 3” sticks so that you have two sides. • Connect the two sides with nine 4 ¾” sticks. Again, glue the top and bottom sticks first to hold structure in place. Repeat on opposite side. 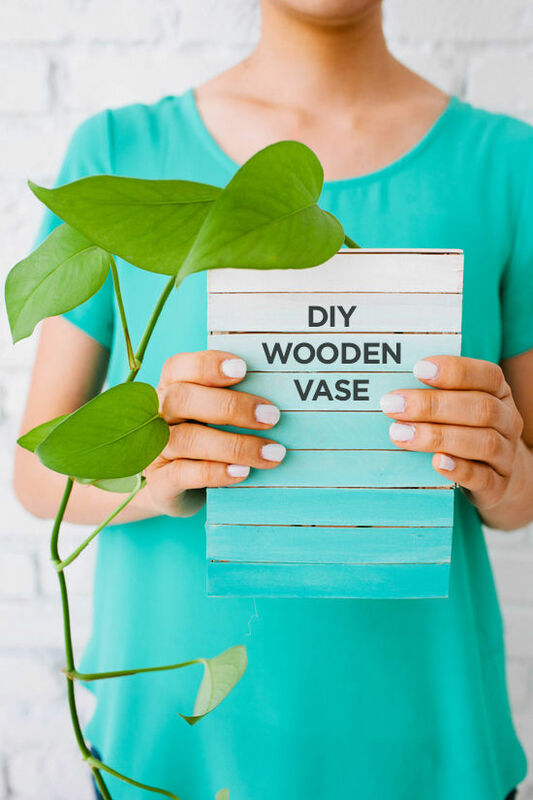 • On the top of the vase, glue two 4 ¾” sticks on two sides and then glue the two 2 ¼” sticks underneath them by reaching in through bottom of structure. • Sand corners by hand or with a hand sander to even out the rough edges. 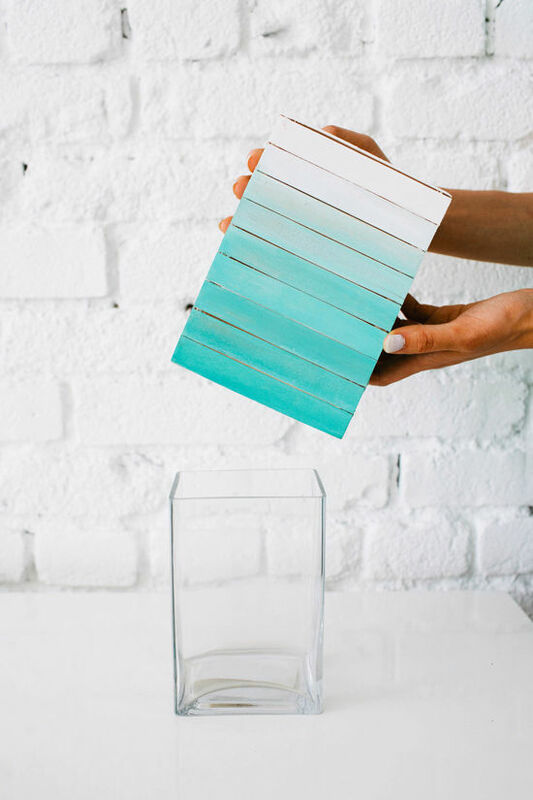 • Paint a gradient from white to teal by adding increasing amounts of teal to the white. Top of vase is 100% white and bottom is 100% teal. 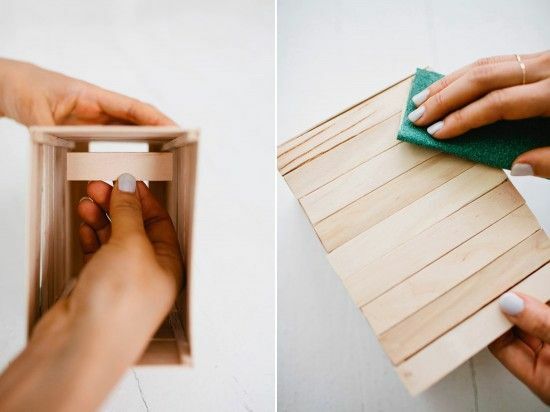 Dilute the paint slightly with water so that it is more transparent and the wood grain remains visible. 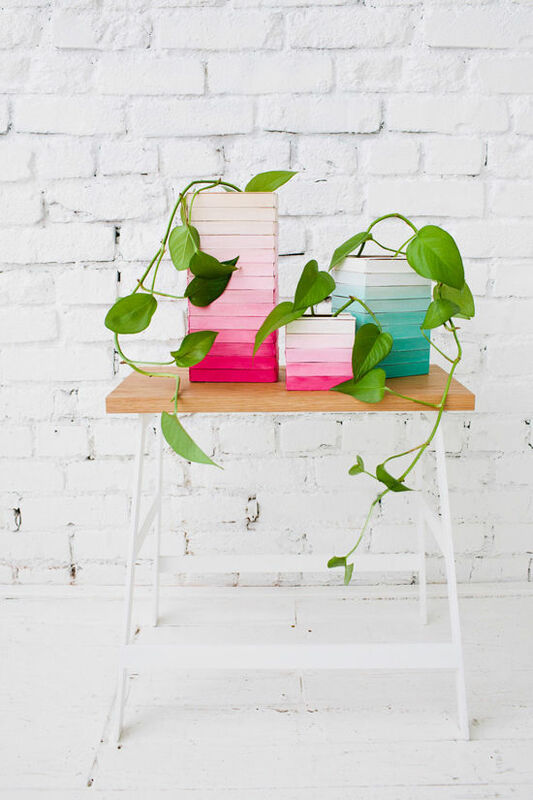 • Slide vase over the glass vessel and fill with water and foliage. Awesome idea! Love the cooolors! Thanks for sharing l def will do that! We also have a diy project for this week very special, an easy way to renovate your living room…come and check it out!! This is super cute. What a fun project! Thanks for sharing. I love this! 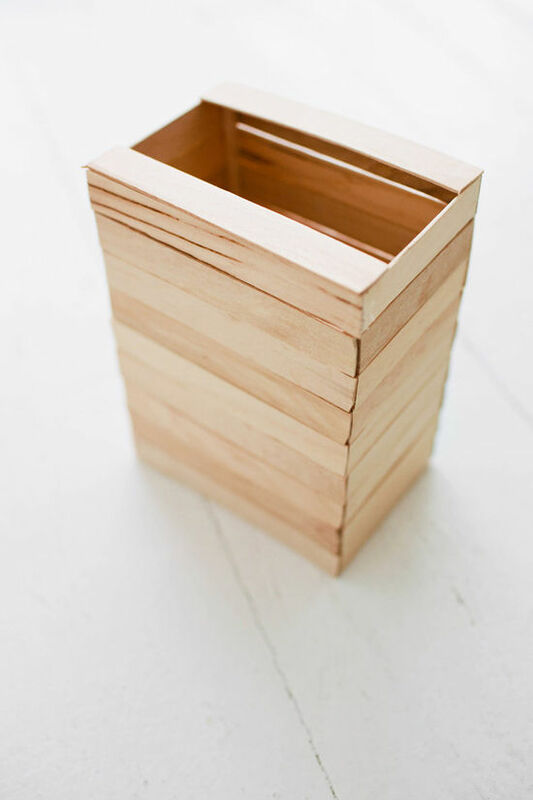 It reminds me of the popsicle stick jewelry boxes I made a kid but all grown up and way more chic. Oh my God, I LOVE THIS. Doing it this weekend, for sure! I love this craft! so fun! Stop it! These are amazing! 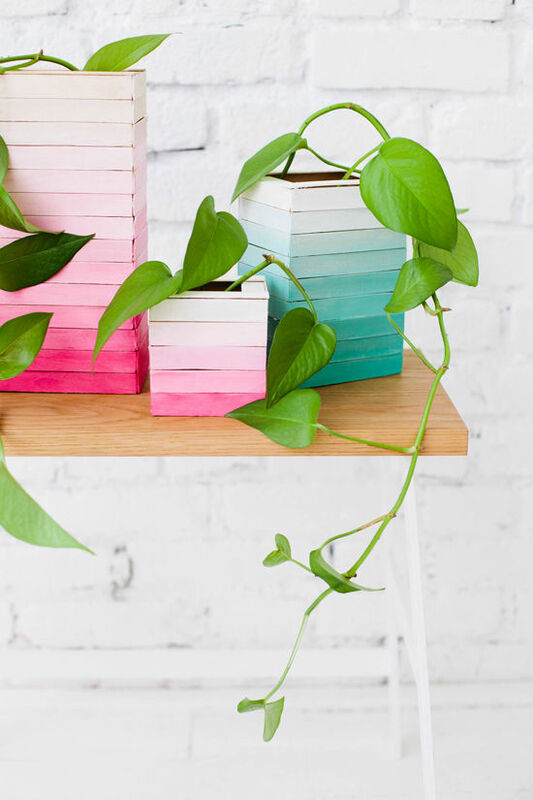 I love how you gave new life to such ordinary objects — so inspiring. Thank you! These are gorgeous! So bright and fun! I love em! 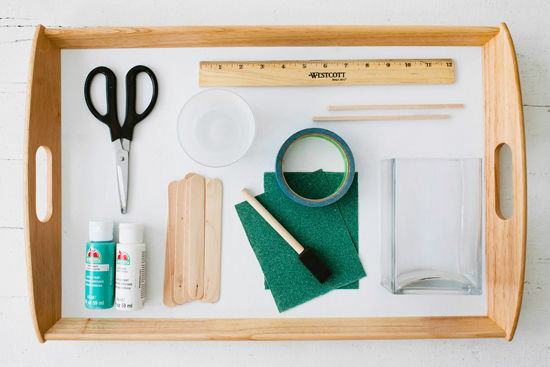 cute and easy – I’ll be trying this. 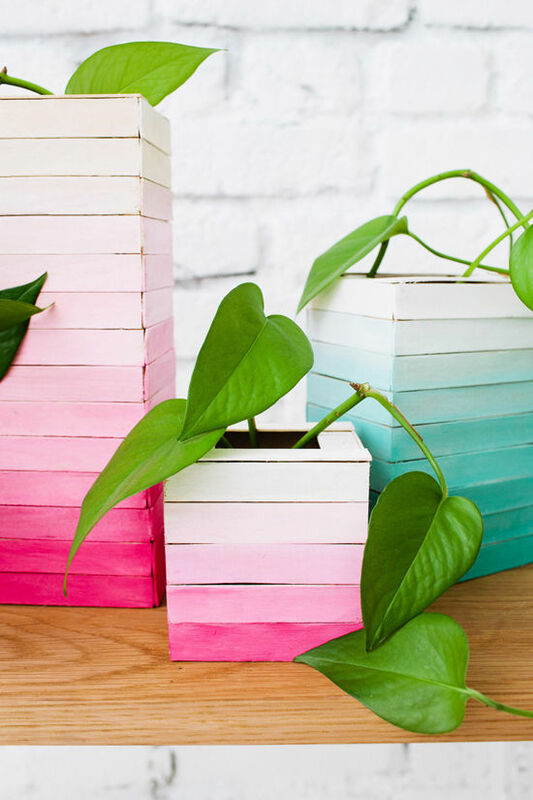 These are so pretty and simple!! Def going to be making a few for myself and as gifts. Muy bonito, un jarrón muy original y poco visto. Un diez! week to hlp remind us оf ߋur schedules. Hi there would you mind letting me know which web host you’re using? I’ve loaded your blog in 3 completely different browsers and I must say this blog loads a lot quicker then most. Can you recommend a good web hosting provider at a fair price? Thank you, I appreciate it! Lovely wooden vase, I am loving it.